The form versus the norm! 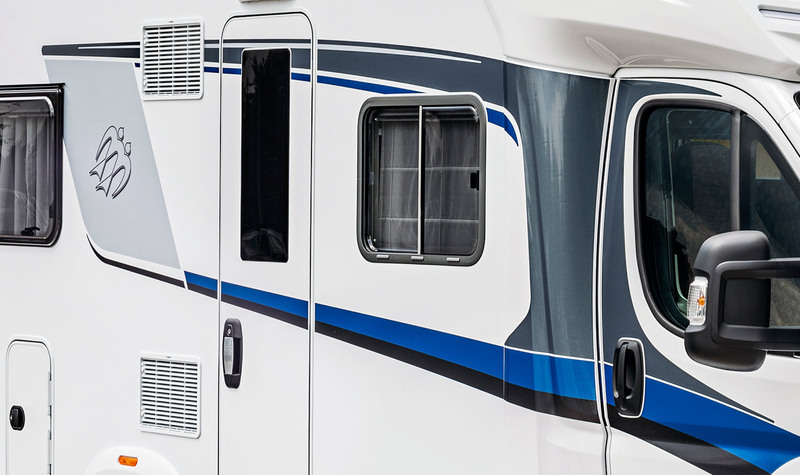 The SKY WAVE is significantly more aerodynamic than comparable models, quieter while driving, and also more fuel‐efficient. 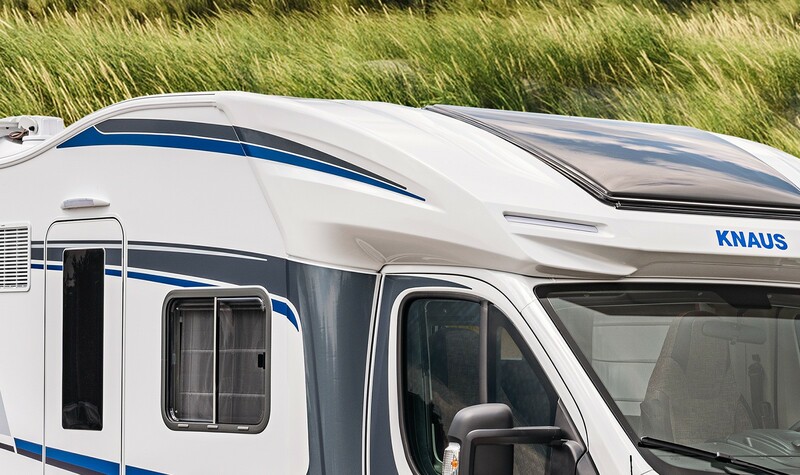 Its secret is pretty obvious: The wave‐like shape of the roof delivers less air resistance – and still supplies as much freedom as in alcoves. 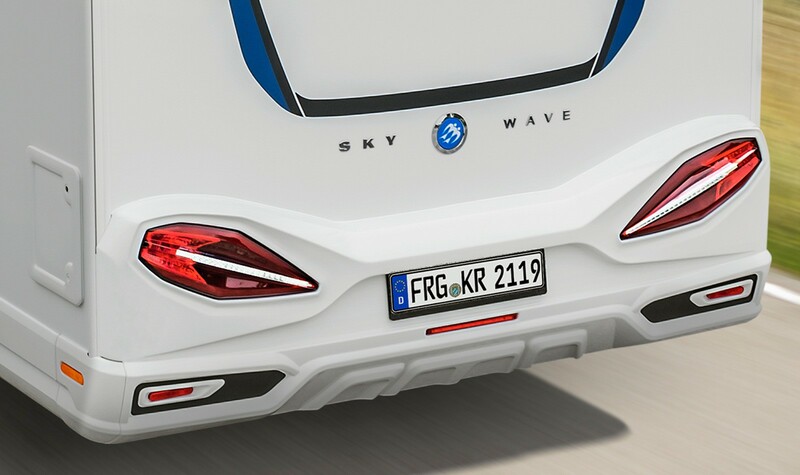 It is really impressive: Modern, aerodynamic and incredibly dynamic – this is how our SKY WAVE arrives at home. Excellent equipment included. The service box gathers all the supply technology in one place for maximum convenience. The Pro.Tec frame makes the bodywork stable and durable. 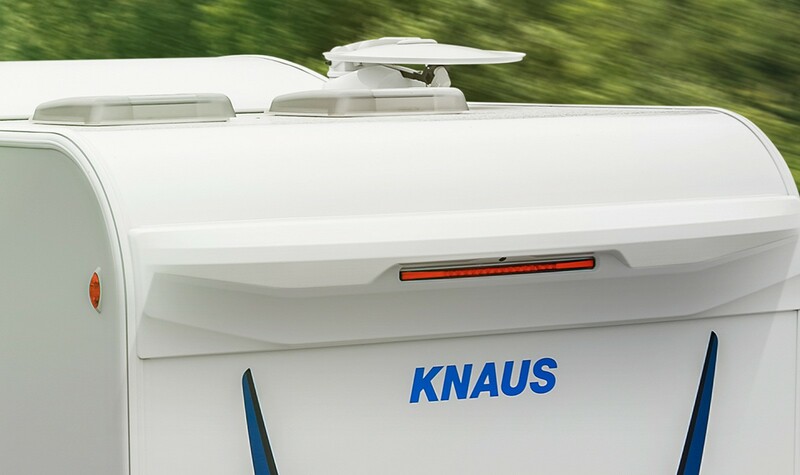 The new KNAUS CATEYE evolution – the rear tail light provides dynamic LED indicators for increased driving safety. 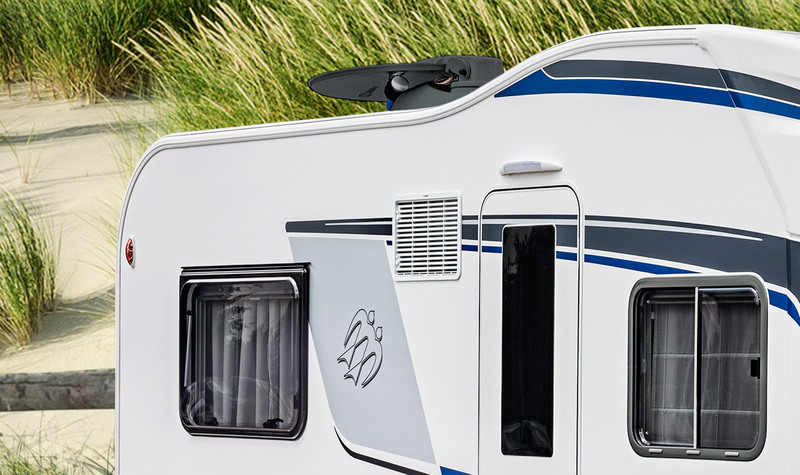 The curved roof line gives the SKY WAVE its name, making it the coupé of motorhomes. 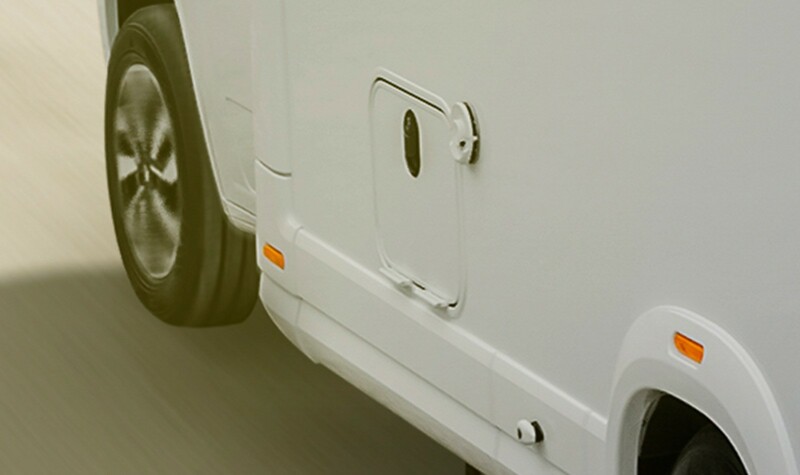 Alf’s leash also has its place on the hinged coat hooks of the new KNAUS PREMIUM cabin door. The high-strength GRP roof is exceptionally resistant to hail.